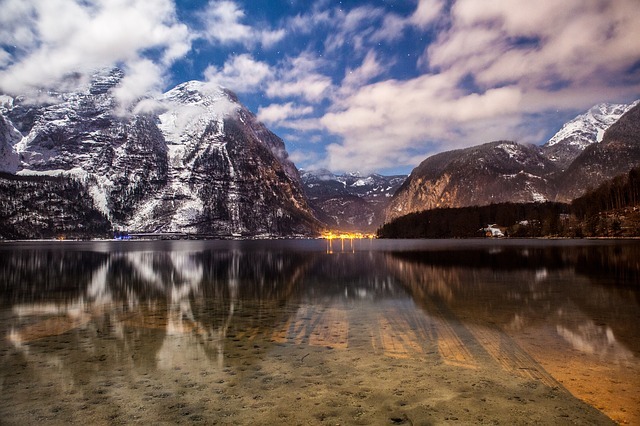 Austria is a country of startling contrasts, from the Austrian Alps in the west to the Danube Basin in the east. It is not only famous as one of the world’s premier skiing regions, but also for its historical buildings, world-class museums and galleries, breathtaking scenery, magnificent mountains and established hiking trails. Visitors in search of culture and visitors in search of scenery are spoilt alike. In addition to natural wealth, the country contains numerous and glorious architectural riches, including frequent reminders of the once-powerful Hapsburgs, who dominated central Europe for seven centuries. It must be said that Austria bears the hallmarks of past emperorship beautifully: the capital, Vienna, is magnificent with its ornate Opera House and the former imperial residence of the Hofburg; Austria’s other cities are similarly infused with a historical magic, notably Salzburg, the birthplace of Mozart, with stunning baroque churches set before a backdrop of snow-covered peaks; and Innsbruck, in the centre of the Austrian Alps. Many places in Austria are themselves worthy of artistic acclaim, so it is little wonder that Austria has produced and inspired a catalogue of cultural figures. During the 17th and 18th centuries, Austria (and, in particular, Vienna) became one of the major centres of the cultural renaissance associated with the terms baroque and The Enlightenment; the musical achievements of this period are particularly notable and their note in cultural history still resounds. Remnants of Mozart’s legacy are everywhere. However, Austria has also yielded people such as artists Klimt and Schiele, composers Mahler and Schubert, writers Rilke and Schnitzler, psychologists Freud and Rank, and philosophers such as Husserl and Wittgenstein. Nevertheless, Austria strives to cultivate its legacy of the future. The country is a hothouse of striking contemporary architecture, at the forefront of engineering, invention and design, and with a modern, efficient social system. Austria still has a justifiable reputation for music, literature and the arts, with Elfriede Jelinek winning the Nobel Prize for Literature in 2004. You are just as likely to find Alpine New Wave punk-rock as you are to find yodelling. In terms of gourmet culture, the legendary Gemtlichkeit (a relaxed enjoyment of life) is evident in the cafes where the art of coffee-drinking has been raised to a high art, and the many Heurigen, where the latest vintages are accompanied by vast quantities of food. Nightlife is versatile, offering laid-back taverns, beer gardens and excellent aprs-ski, as well as trendy clubs and dance venues packed to the small hours. Austria is a wonderful destination for a skiing holiday and the second most popular country in Europe for British skiers after France. Austria is renowned for its picturesque resorts and outstanding levels of service and quality. A ski holiday in Austria will offer world class skiing and a vibrant après ski, making it a superb choice for your next ski holiday. Whatever your level of skiing, you will be spoilt for choice. Austria is home to a variety of resorts that cater for all levels of skiers and boarders. With their stunning Alpine scenery and traditional Austrian charm whichever resort you choose, your ski holiday will certainly be one to remember. 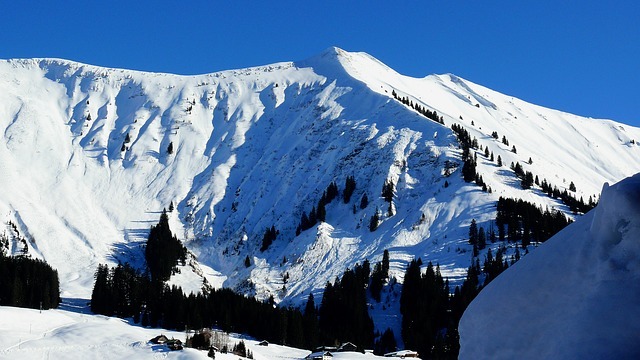 Ski resorts in Austria are generally a little lower than many French resorts which is not a problem during the main ski season but be sure to check the snow reports and snow history of a resort if you are planning an early or late season ski trip. Many of the most talked about apres-ski bars are in Austria – notably the Mooserwirt and the Crazy Kanguruh in St. Anton situated at the top of the last piste leading to the town which makes for a very interesting last run of the day! The Austrians are famed for their table dancing and some would say that when having your ski boots fitted in Austria, you should make sure that first and foremost you can dance in them, and secondly that you can ski in them! Even in smaller villages you will find a couple of good apres-ski bars with a very warm and friendly atmosphere, something that is quite unique to this country. The Alps divide Austria into at least four areas with distinct local climates. The alpine area in the West of the country has a generally harsher climate. The valleys of Tyrol, especially around Innsbruck, are famous for the “Föhn” winds. These warm winds can rapidly increase the temperature, but also cause headaches and can trigger migraine. Rain is more common in the Alps and temperatures are lower. Generally, the Austrian Alps are colder than the Western Alps in Switzerland or France. The North of the country has a typical continental climate. Because clouds from Germany often get “stuck” in the airflow around the Alps, rain is more common North of the mountains in Salzburg, Upper Austria and the West of Lower Austria. Salzburg is famous for its “Schnürlregen” (“rain in strings”), steady and continuous rain that can go on for days and days. The region of the eastern parts of Lower Austria, Vienna and the Burgenland are influenced by the weather of southern Russia and Eastern Europe. This “Panonnian” climate is considerably milder than the one in the mountains or Upper Austria and makes great weather for raising wine. This applies also to the fourth region, the area south of the Alps in Eastern Carinthia and Styria, where the weather is mild and the summers are pleasant – influenced by Mediterranean climate systems. Get a taste of Austria’s culinary diversity! Over the years, Austria has become a real haven for gourmets. Ambitious farmers, winegrowers and innkeepers have re-discovered the joys of fresh, seasonal, local produce so visitors can sample the joys of good eating and drinking with all the finest products that the regions of Austrian have to offer! If you thought Austrian food was limited to wiener schnitzel and apple strudel, think again. While traditional food is one of the highlights of visiting Austria, those in the know look for backstube platter – medallions of pork in garlic, with rosti (grated and cooked) potato, or kaiserschmarren – a sort of omelette with raisins and plum compote. And for those who aren’t watching their waistlines, there’s mohr im hemd, a delicious chocolate pudding in a chocolate sauce. 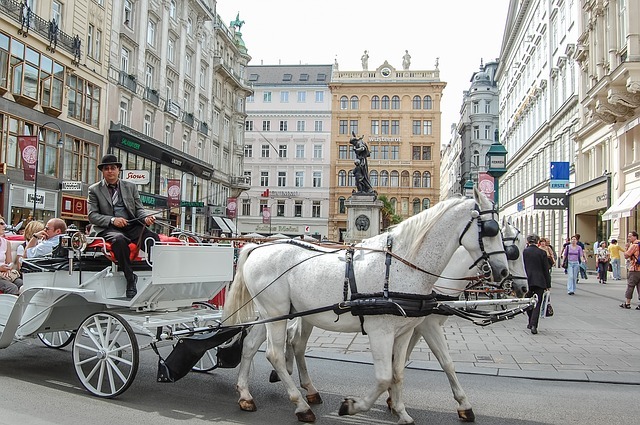 There are so many fulfilling things to do on an Austria vacation, and among the most rewarding is Austria shopping. It’s rewarding because you come away with something that will remind you of your wonderful Austria vacation. You know you always wanted to buy some lederhosen anyways. Of course, those might not be the look back home, so buyer beware. On a more serious note, Austria boasts an array of interesting shops, galleries, markets, and souvenir stands, and so shopping can quickly become a full-time pursuit if you want it to. In other words, you can truly shop until you drop in Austria. (a) 1. British nationals whose passport should be valid for intended length of stay. (b) 3. nationals of Australia, Canada and USA for the purposes of business or tourism for stays of up to three months. For stays longer than three months an entry permit must be applied for which is valid for up to six months. (c) 4. holders of the following British passports do need a visa: British subject (without right of abode in the UK); British Dependent Territories; British Overseas Citizens; British Protected Persons.